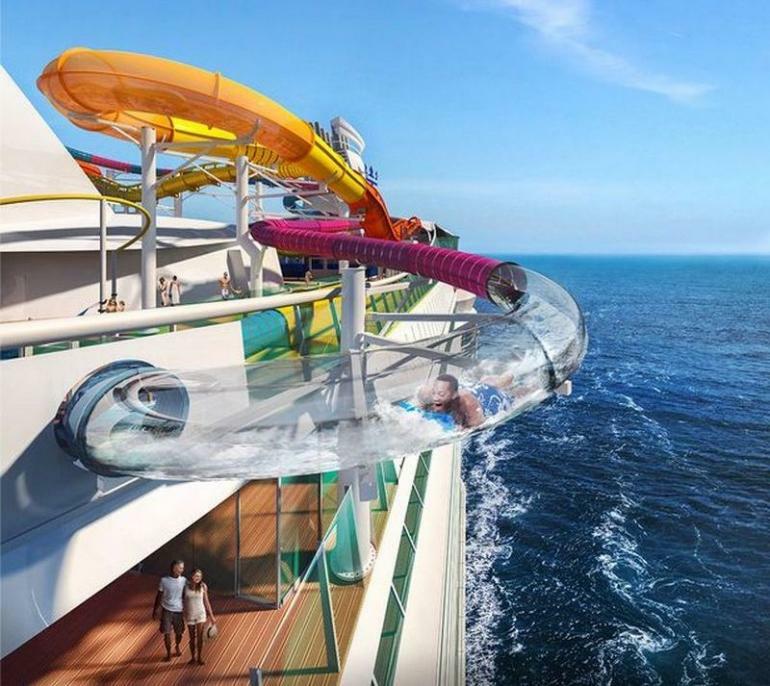 Royal Caribbean recently revealed plans to launch the world’s longest waterslide at sea on their Navigator of the Seas ship this year. Dubbed “The Blaster,” the waterslide will feature 800 feet of twists, turns, drops and the longest stretch of slide ever suspended over water. The water slide is unique in terms of architecture and will include a section that extends over the side of the ship. It is designed to propel a two-person raft over hills and drop in what is described as a ‘unique seaborne thrill’. Those seeking a further adrenaline rush can try their hand at the slide’s equally thrilling counterpart – the Riptide, wherein riders get plunged headfirst down a mat racer, only to finish with an exciting home stretch through a translucent tube. 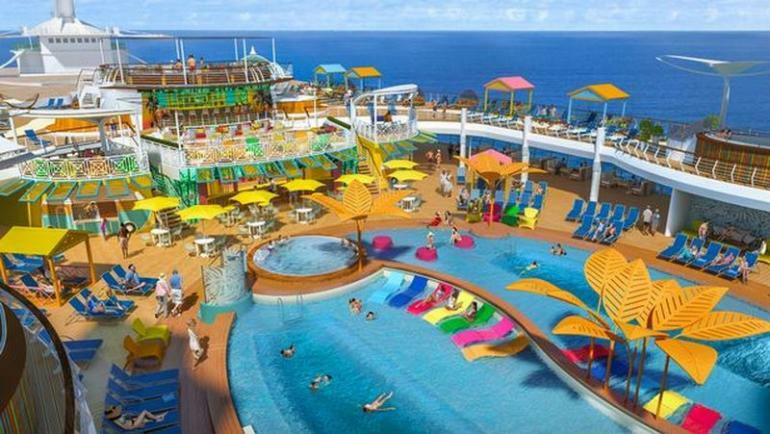 If that isn’t enough, the wider $115million (approximately £88million) makeover for the ship also promises an array of other entertainment options for its guests. The revamped ‘Navigator of the Seas’ will also accommodate Planet Z, a glow-in-the-dark laser tag alongside the Observatorium which happens to be the Royal Caribbean’s much-touted for escape room. 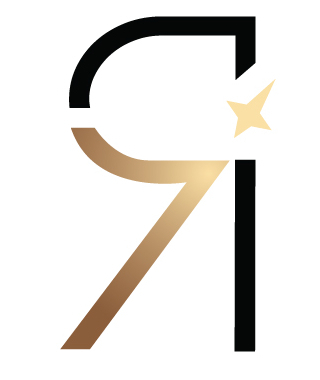 Other new features include more kid-friendly, less thrilling attractions, such as a Splash Pad play area for tots in the pool, glow-in-the-dark laser tag, and a new Escape Room. There are also new bars to check out: The Lime and Coconut, a two level signature cocktail bar, and The Bamboo Room, Royal Caribbean’s line’s Polynesian-themed watering hole. 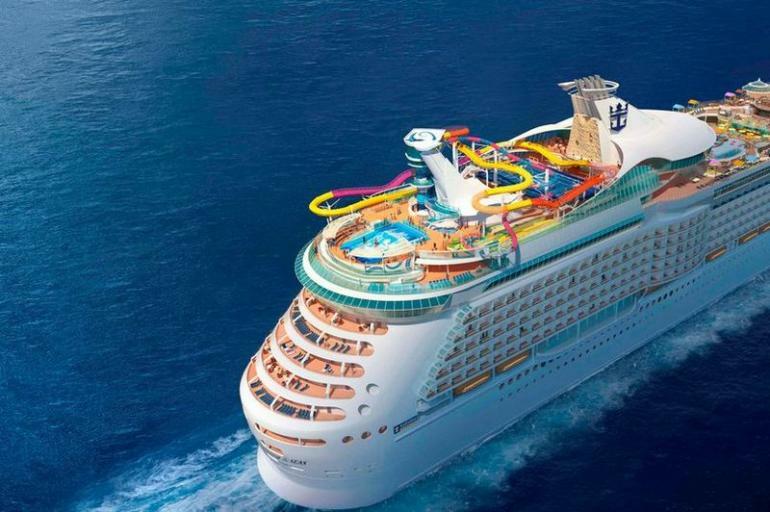 The Royal Caribbean Navigator of the Seas cruise will relaunch on February 24 this year.